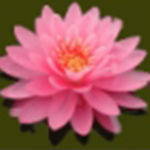 Green Vista has a wide selection of water garden plants including hardy water lilies, day and night blooming tropical water lilies, lotus, bog plants, oxygenators and floating plants. Our selection of winter hardy pond plants is one of the largest in the Midwest and have been chosen and grown for the Ohio Valley. Hardy water lilies (perennials) are the queen of the water garden, blooming in shades of red, pink, yellow, orange, peach and white from May to October year after year. We also offer beautiful tropical (annual) varieties of water lilies, each year that provide their own breathtaking colors and fragrances to the water garden. 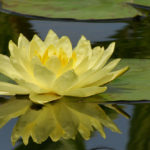 Tropical water lilies out bloom and out perform the hardies, plus come in an even wider array of fragrances and dazzling colors. Night blooming tropicals extend enjoyment into the evening and beyond. 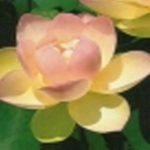 Lotus (perennials) are the kings of the water garden, some growing to over 5 feet in height with leaves close to 2 feet across. Blooms grace the plants in mid-summer, followed by distinctive seed pods often used in flower arrangements. 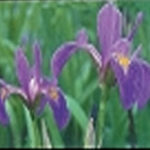 Hardy bog plants (perennials) offer almost unlimited choices for the water gardener. Most do well with 1-3″ of water above the crown of the plant and prefer full sun. Tropical floaters (annuals) are the impatiens and petunias of the water garden. Easy to grow in sun or shade and incredibly vigorous in in good conditions. Hyacinth and lettuce also make great filter plants. All of our Pond ReadyTM plants come pre-potted, fertilized and ready to place in your garden pond for years of enjoyment.